President Emmerson Mnangagwa was allegedly arm twisted by the fuel cartels to increase the price of fuel and put a separate price for US Dollar because they were losing profits selling fuel at USD 1:1 rate with Bond notes. A source in the Office of the President alleged that this was the reason why the President had to do an emergency press briefing to announce the changes. "To tell the truth, Number 1 was arm twisted and forced to announce the changes by these fuel gurus who are funding most of government businesses and also party programs." The source alleged. "They expressed their displeasure at the continued loss they were making through selling fuel in bond note at the same value with US dollar." The source further alleged that the cartel threatened to cut of some of their benevolent funding saying they are unable to continue supporting party and government programs when they are making loses. "The guys were very clear to Number 1 that if you do not cause the pricing of fuel to be priced at the correct rate that the bond note has with the US Dollar we are pulling out. So the President had no choice but to comply with their demands." Commenting on the fuel increase Professor Jonathan Moyo said, "To have the head of the pfee administration to announce midnight fuel price hikes under the cover of the night to benefit queen bees is a tragic joke that ain't funny. The centre is broken. It's time for visionary leadership, otherwise the people will perish." 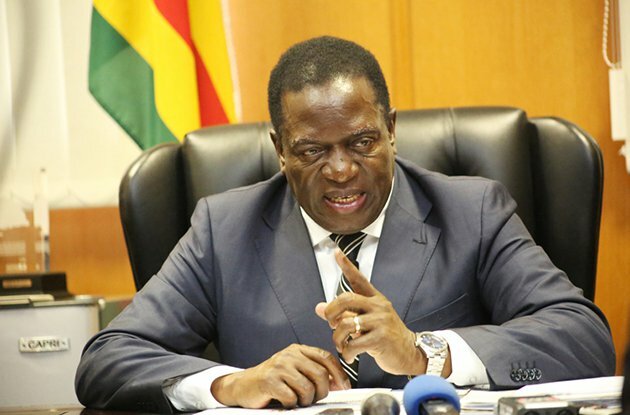 On Saturday evening President Mnangagwa announced that fuel prices have been increased diesel is now pegged at $3.11 per litre and Petrol pegged at $3.31. He said these prices are predicated by on the ruling official exchange rate of 1:1 between the Bond note and that government is also putting in place a package of measures to cushion its workers, until a full review of cost of living adjustment package due in April 2019 is effected in the context of current budget.